Like Kid Icarus: Uprising this time last year, my 3DS and drawing tablet have been aglow with characters from the latest Nintendo game. Yep, I’m still playing Fire Emblem, and still making comics about it! 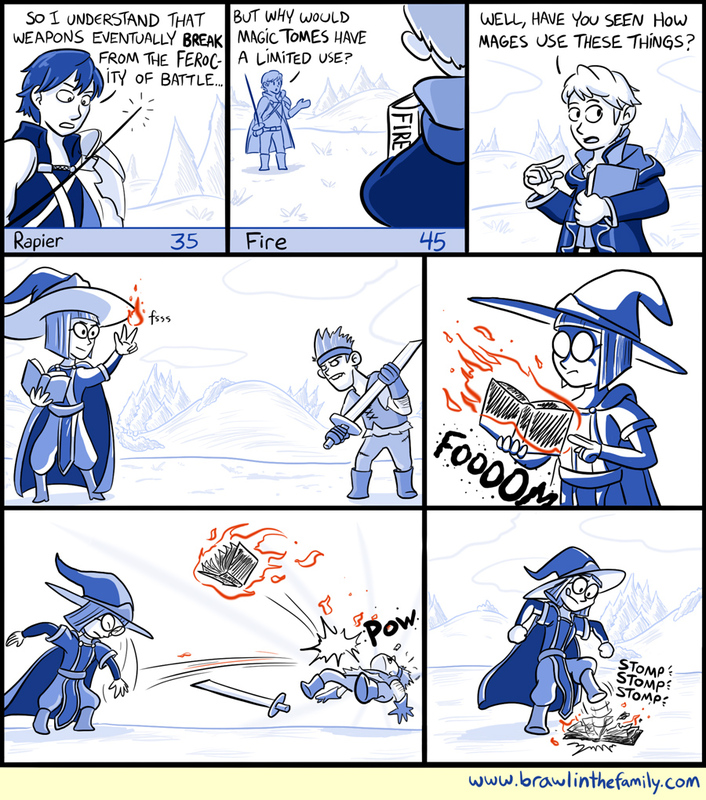 This strip is dedicated to the memory of Miriel, who I carelessly left unguarded in a late-game chapter; may she forever be hurling flaming books in heaven. Okay, so the thing I mentioned last time will be arriving with the next update! Hope you like it.